Your body acquires vitamins and minerals through food or supplements that nourish the body. Just like anything else, balance is always the key. The lack or excess of one vitamin or mineral does the body harm. This is why it’s important that you take enough amounts of your daily nutritional serving. Your teeth and gums also need certain vitamins and minerals to keep up with the daily grind and damage that bacteria do to your teeth. Listed below are the vitamins and minerals that maintain your oral health. Calcium. You need this mineral because this makes up your jaw bone and your teeth itself. Calcium deficiency or can weaken your bones and teeth. It would be easier for the bad bacteria to form plaque and cause tooth decay and gum disease. Be sure to get your daily recommended calcium from drinks and food like milk, yogurt, cheese, beans and other leafy greens to keep your bones and teeth strong. Vitamin B3 (niacin). This vitamin is the key to preventing sores and gum disease. The lack of this vitamin can cause bad breath and a symptom of gum disease. You can get this vitamin by eating chicken and fish. Vitamins B12 and B2 (riboflavin). The lack of vitamin B12 also causes sores on your mouth. This is evident in various red meats, chicken, liver, fish and many more. Vitamin B2, contrary, is accessible in almonds, pasta, and wheat flour. Vitamin C. Vitamin C has a big role in boosting your immune system. Vitamin C deficiency can lead to having bleeding gums and loose teeth. This vitamin is the key in forming the tissues in your gums that support your teeth. It also aids in healing damaged oral tissues. Raw red bell peppers, oranges and citrus fruits, berries and spinach are some good sources of Vitamin C, too. Vitamin D. It might not be apparent but this vitamin plays a big role in calcium absorption. Your body won’t have the ability to absorb calcium when you lack this vitamin. It could lead to burning mouth syndrome where your mouth becomes dry and have a bitter and metallic aftertaste. This would eventually lead to bacterial growth and dental problems. You can eat egg yolks and fish to have vitamin D in your diet. Phosphorous. Next to calcium, phosphorus is abundant in the body and most of it is in your teeth. It helps in the repair and maintenance of body tissues and organs. It also pairs up with calcium in making your teeth strong and resistant to bacterial attack. Eat and drink protein-rich foods like milk, eggs, meat, and fish that are rich in phosphorus. You can even find it in dried fruits and whole grain foods. This mineral is present in many foods that you don’t need supplements for this mineral. Your gums and teeth can benefit from many kinds of vitamins and minerals. It’s best to consult your dentist before taking supplements though. 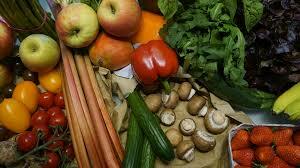 It would be best to eat a wide variety of fruits and vegetables for the nourishment your teeth and body needs. Visit this helpful site to find out more.